As our travel blog has grown, one of the biggest struggles that we’ve faced has been finding a way to maintain our connection with our audience, as well as to our family and friends back home. Reliable internet can be gold when you are trying to remain connected while away for extended periods of time. We use the internet to track our flights and hotel bookings, map our drives and more. Add to that our need to keep the blog up-to-date and manage our business, keeping connected on the go is crucial. 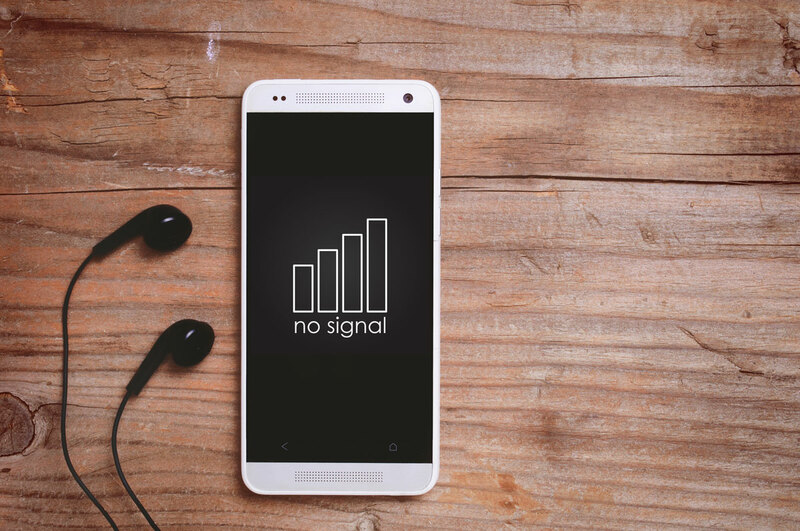 While stopping into coffee-shops and hoping for quality internet access in hotels is an option, it can be a frustrating and unreliable experience. When we saw the Tep WiFi hotspot advertised, it sounded like a solution that I had to try out for myself. What is the Tep WiFi Wireless Hotspot? 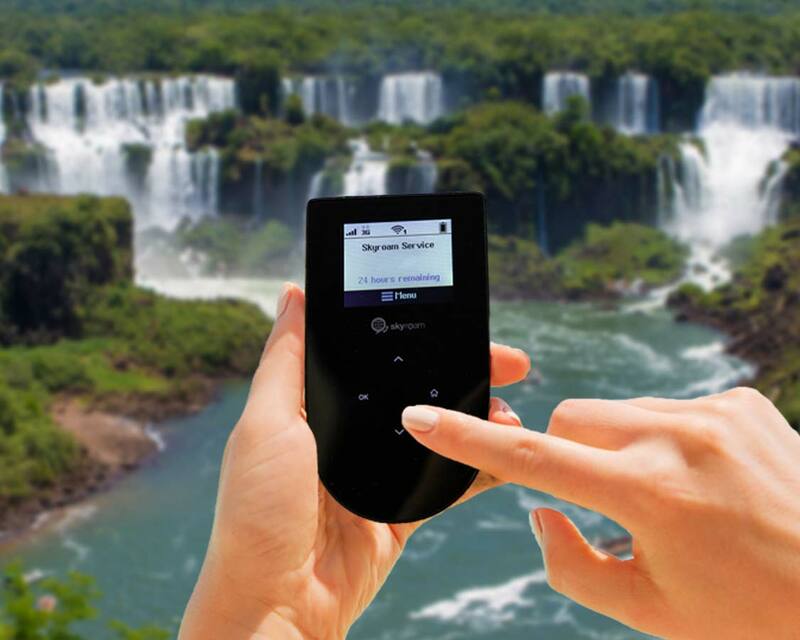 The device is essentially a 3G/4G mobile network that creates a private wifi network that allows it to connect up to 5 devices to the internet in 150 different countries. We had an upcoming trip to South America and it made for the perfect field test. My first glimpse of the TEP WiFi Hotspot was surprising. It was packaged in a small, square zippered case that contains the device, travel adapter, USB cable for charging and user guide. The device itself is sleek looking and conveniently tiny, shiny and very easy to figure out. Getting started with the Tep Wireless device is shockingly easy. Press the power button for a few seconds, select Start, then OK, navigate to your LAN info to get your wifi name and password and connect your device to it. To control costs, each connection is available for a 24 hour period, and the process needs to be repeated (although the network name and password remain the same) each day. Our success with the Tep WiFi Hotspot varied depending on our location. 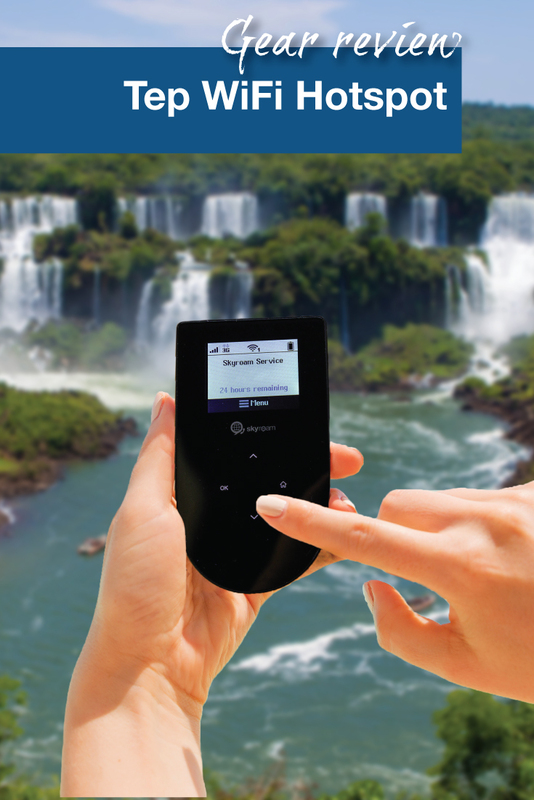 In San Ignacio, a remote part of Argentina, we had limited connectivity, but the region is known for having poor reception, in Southern Paraguay and Brazil, our connectivity in more populated areas was fairly quick and responsive. Tep boasts 36 signals up to 7.2 Mbps and even faster on 4G. The device is rated for 8 hours of use for a single charge and we came pretty close to that with our use. It will last the better part of a day with little trouble. How much is the Tep WiFi wireless hotspot? 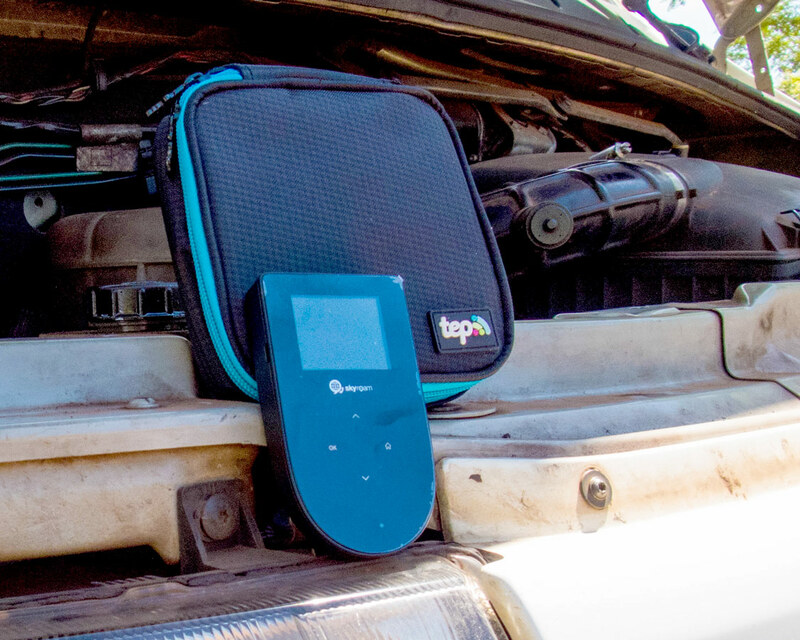 Tep offers the WiFi hotspot as either a purchase or a rental. The purchase price for the unit at $124.95 with 5 full days of internet data. Additional days are $8.00 each. Alternatively, you can rent the device for $9.95/day inclusive of unlimited internet. There are additional options for rental/purchase available and prices may change, so check here for more information. The device is very simple to use. Once you power the device on, you can be up and running within a minute. There are no proprietary connectors needed. It uses standard Micro USB for charging, so chances are, you already have devices using the same cables as those included. It also includes a compact and easy to use travel adapter with both a plug AND an additional USB port. This means you can use it to charge two devices. There is no lack of devices that we carry with us while we travel. Having the ability to connect multiple devices at any given time is fantastic. There’s no messing around once you get connected. You don’t have to count your data and worry about overage charges, just turn it on and go. While I admit I loved the convenience and ease of the Tep WiFi hotspot, there were times where I found the connection to be frustrating. In San Ignacio, I would turn the data on and have a couple of bars on the wifi only to be left without the ability to even check my e-mail. If I had been paying for those days, I would have been left frustrated and annoyed about paying for connectivity when there really wasn’t anything usable. The Tep is good in many countries, but there is no guarantee that you will have service everywhere in the countries that it does service. Should You Get a Tep WiFi Hotspot? This completely depends on the type of traveler that you are. If you are on the go and depend on connectivity for business or social needs, but don’t want to pay exorbitant roaming fees or deal with switching to a local SIM card when you move from country to country, then it is an excellent option. 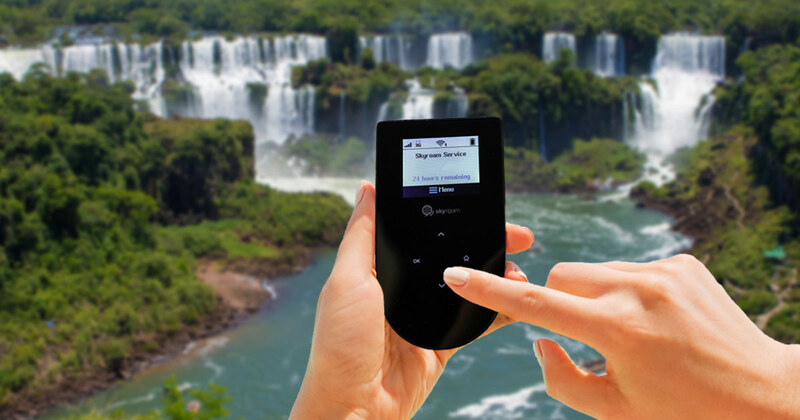 For $8 per day, and the ability to use up to 5 devices, it’s hard to beat the value and convenience that the Tep device has to offer, and that is why it will become a staple item when we pack for our international travels. If you want to try out the Tep WiFi Mobile Hotspot for yourself, pop over here and give it a shot! Disclosure: Tep provided us with the device and 5 days of service at no cost. Our opinions remain our own. This post contains affiliate links from which we may receive a small commission at no extra cost to you. Wandering Wagars is a participant in the Amazon Services LLC Associates Program, an affiliate advertising program designed to provide a means for sites to earn advertising fees by advertising and linking to amazon.com, amazon.co.uk, amazon.ca. Amazon and the Amazon logo are trademarks of Amazon.com, Inc. or its affiliates. Deym it’s kinda pricey hahaha.. I used another hotspot when I went to Taiwan, just rented it and it’s cheaper. Yeah, Internet is hard to come by when you are traveling and for bloggers like us, it’s important that we’re always connected. A friend of mine is also using Tep, so I might consider this next time, if ever the “other wifi hotspot” that I am using is not available in the country that I am going to. This is a very useful device! Wherever we travel, for one reason or another, we need to be connected to the internet and it fulfills this demand! You might have to try your luck at remote locations but otherwise it seems good. Yes the TEP device does have service in the Philippines.